As we do at the end of the year it’s time to review the year and from my perspective I’ve learned quite a bit about real estate in general, here’s my year in review for real estate. Well not always, but if you buy with the investor mindset it’s really hard to do something wrong in real estate. This basically applies to homes that in the median or below price points (not luxury). You can rent it out and when the market is going down in real estate due to default you can bet that rent rates will rise. The Atlanta Real Estate market has seen the most competitive real estate market ever and the influx of hedge funds and other investors is interesting to watch. Their model is simple – if I can get 12% or more then it’s a buy. Afterall, what’s your mutual fund paying you? You might not know this but it’s a seller’s market in many real estate markets. 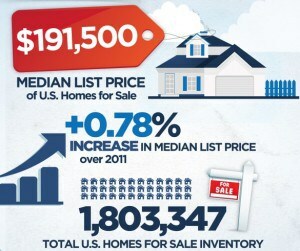 A Seller’s market is characterized by having less then 6 months of inventory (or homes to sell). Unfortunately, the news media and frankly even the marketers are just now talking about short sales. Short sales are definitely here to stay but they are on their way out as the market appreciation is starting to effect neighborhoods. Maybe 2 or 3 years and a short sale will be a rare thing. This is common of most industries, but it’s worth noting. You heard it now, 2013 might be the last year to get that $50,000 home that rents for $800 or $900 a month. This year in particular was an eye opener. I’ve always been a “hound” for the opportunities but what I found is that some are not opportunities but rather they are distractions. Learning how to tell the difference is key. The biggest clue for me was learning that anything that takes you away from your core niche, core strength, might be a distraction. The other key here, is that it is very likely that this “opportunity” might be something to pass to someone else. As we say in our business, we’re blessed to be a blessing. This is key in real estate investing, running a business or any other area of life as well. What lessons did you learn in 2012?